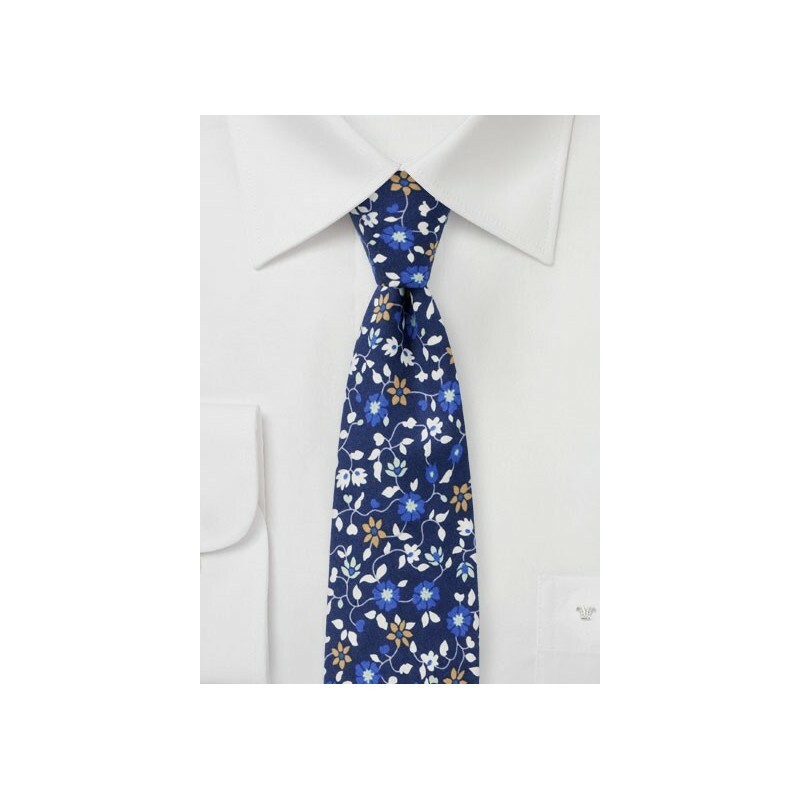 Looking for a summer tie to wear to a friend's wedding? Want a tie that is fun, non-business like, but also fancy enough to fit a semi0formal dress code? 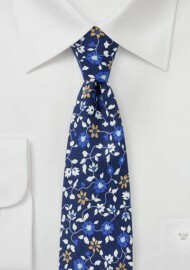 Then this blue floral tie on cotton would be a great choice. The dark navy background paired with vines and florals in royal blue, white, and tan look best when worn with light gray or cream colored summer suits.